Simply Silhouette: Scrappy Moms Terrific Tuesday Challenge! Scrappy Moms Terrific Tuesday Challenge! is to use your "New Arrival" Cartridge. no worries, just use something similar. I put two different stamps together on this card. 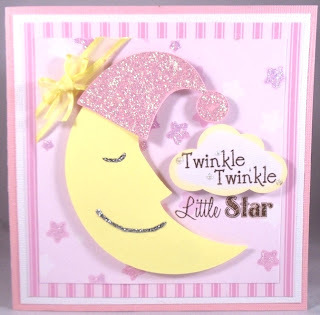 I think this is such a cute card. I love the use of colors. I like how the moon and cloud is popped out. Thanks for sharing with us!! 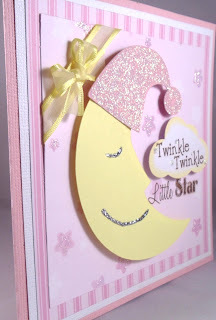 This card is sooo cute and I LOVE how you used two sentiments... it looks amazing!! Love it! OMG!! This is so super cute!! LOvin the glitter! I love the card! Very pretty!! this is such a cutie card. it's so very adorable. thanks for sharing. 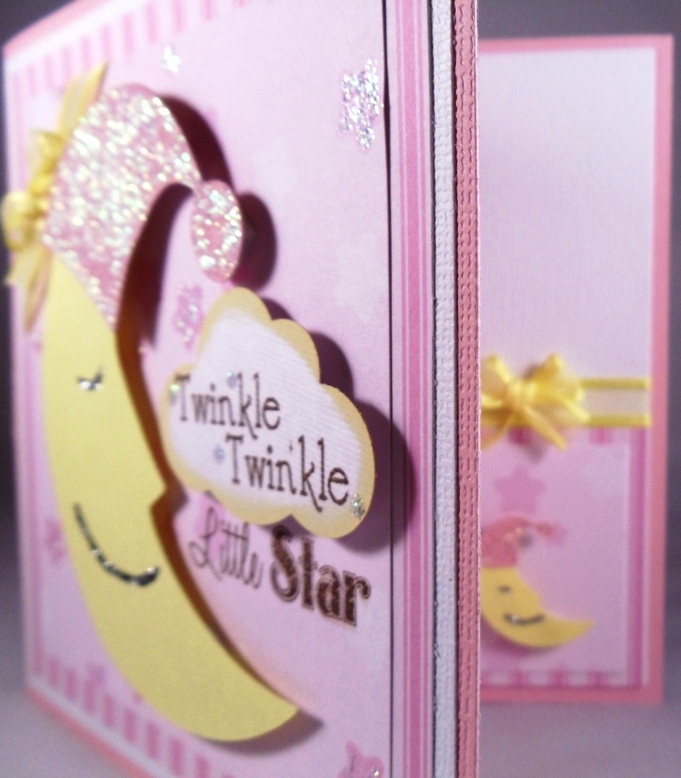 keep up the great creativityness of paper crafting.